So the year is all but done. This is the fourth time I’ve left this place and it never seems to get any easier. The kids were all asking if I was going to cry again, such is my reputation at this time of year. As something special comes to an end it’s natural to look back and reminisce. I’ve been doing a lot of this recently and so thought that for my last blog I’d run through some of my Top Cofradia Moments. Cutting the list down is difficult and I’m positive that I’ll remember something else after this is posted that I should have included. Mother’s Day has never been too big in my family (sorry mum) so it surprised me when I arrived here how seriously it’s taken. 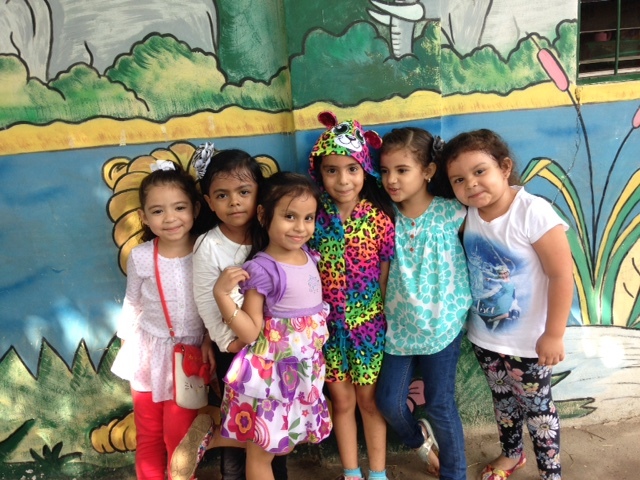 Every year the school puts on a Mother’s Day concert and all the mothers of the students get all dolled up and come along. It’s very much high on the list of the social calendar. In previous years my students have sang songs from The Beatles to Bruno Mars but this year 10th grade was very ambitious and sang Queen’s Bohemian Rhap sody. I knew from the first practice that it was going to be either a disaster or a triumph and luckily it was definitely the latter. They all got in to it and I felt like a proud parent watching them belt it out. It also helped improve their vocabulary, though not sure how often they’ll need to use “scaramouche” or “bismillah” in their speech. My third graders a few years back had been pestering me to organise a football game with another school in the town. For an entire week before the game I’d find pieces of scrap paper scribbled with different formations, tactics and predictions all over the classroom. To say the kids were a tad excited is the understatement of the century. I did my best to tell them how winning wasn’t the most important thing and that they had to show good sportsmanship but if I’m completely honest I couldn’t stop myself getting carried away with them. The morning of the game there was high fives and fist bumps going on everywhere but the other school took an early lead. Watching my little third graders all encouraging each other and digging deep was something really quite emotional to watch and in the dying minutes when the ball bounced off the head one of my least athletic kids to win the game I couldn’t help letting out a few fist pumps of my own. I can still hear the hysterical, ‘CBS ARE THE BEST’ chants on the walk back to our school. Cofradia the type of town that you pretty much bump in to someone you know every time you leave your house. This year I bumped in to a former student of CBS who’s now 18. It’s always nice to catch up with old students and hear all about what they’re doing now. It turns out that this girl has been offered a scholarship to go to a university in the USA and leaves to study in August. She was very excited about travelling somewhere new and studying. She explained to me that without the education she received at CBS and the work of the volunteers, she doesn’t think she would have been able to get an opportunity like this. After giving so much time here, it was so encouraging to see a real individual story of how the work we do down here does make a concrete difference to people’s lives. 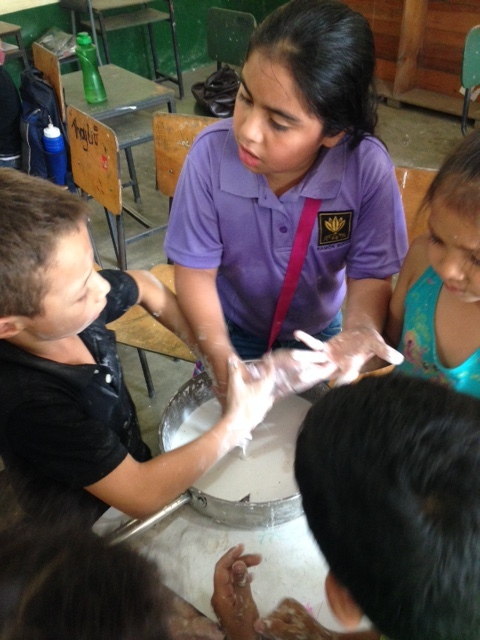 Volunteering in Honduras has given me lots of opportunities to explore and travel during vacations. 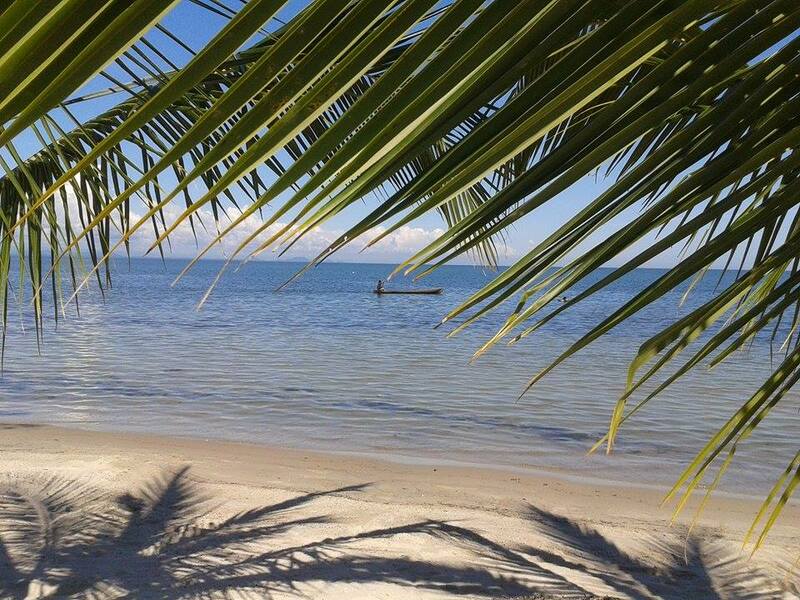 Of all these trips, the one that stands out the most has to be the 3 day sailing trip in Belize. A few years back me and another volunteer hopped on a few chicken buses and boats and ended up on Caye Caulker in Belize (if you imagine a stereotypical Caribbean island and then imagine the ocean being a little more blue and life a little slower-paced you’re almost there.) From there we took a sailing trip down the coast back towards Honduras. The days were spent snorkelling with turtles and spear fishing and the nights were spent camping on tiny islands and grilling our days catch. I came to Honduras for the school, I stayed for the grilled lobster! The first time I left Honduras I was picked up at my house by one of my students’ families on my last day and taken to a restaurant where the entire class was waiting to surprise me. I’d been so upset and down about leaving and so the party really helped cheer me up before I had to leave. There was lots of cake and they’d all been practicing some songs to sing for me which was just the cutest thing. Leaving is always hard but when you get memories like this to take with you it’s that little bit easier. I’m already excited for the new highlights the next time I come back. ere my parents continue to live. My second home is Orange in New South Wales, Australia where I spent a year as an exchange student during grade 11. Now, at the age of 19, I am incredibly happy to announce that I have a third home. 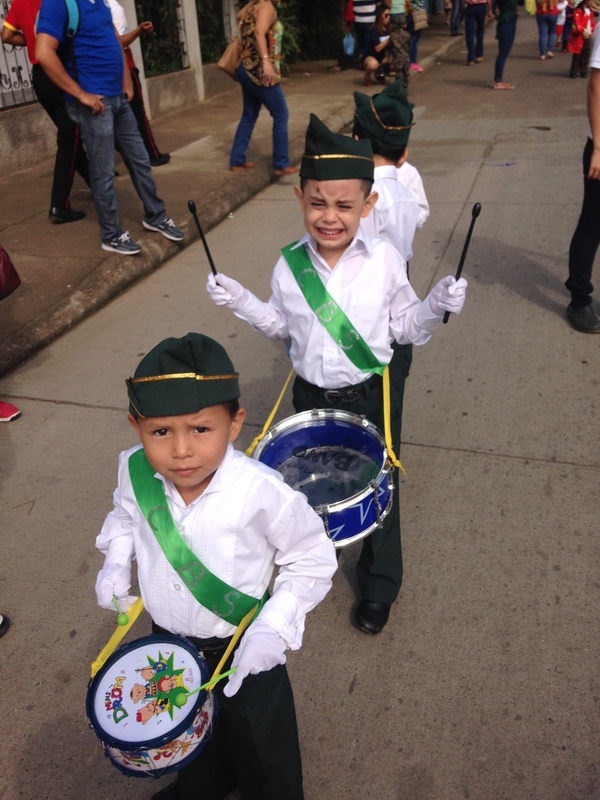 That’s right, Cofradia, Cortes, Honduras! 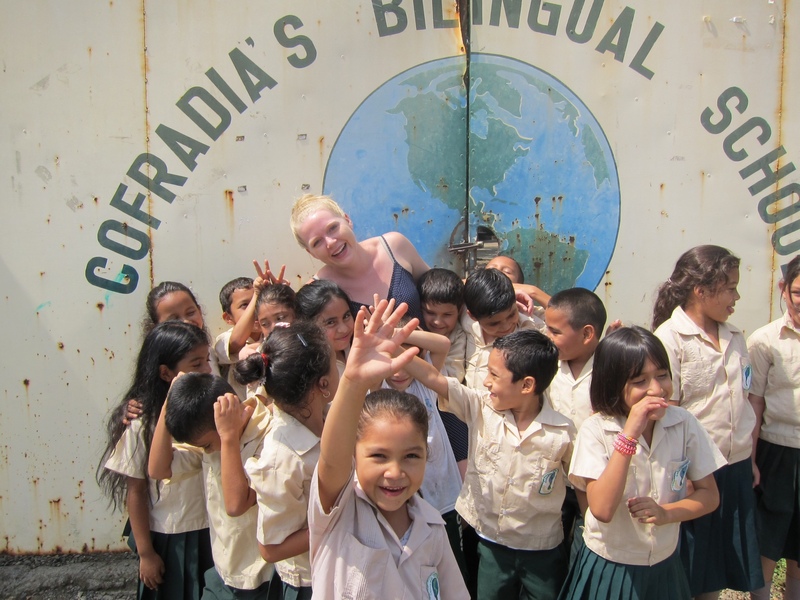 The initial plan for my trip to Honduras was to work at Cofradia’s Bilingual School for just one month. It was during my Skype interview with the volunteer coordinator that I decided a month would not be long enough and asked if I could stay for three. She said yes and offered me a position as a resource teacher. Two weeks before I was due to arrive I received an email asking if I would be willing to instead teach grade one. 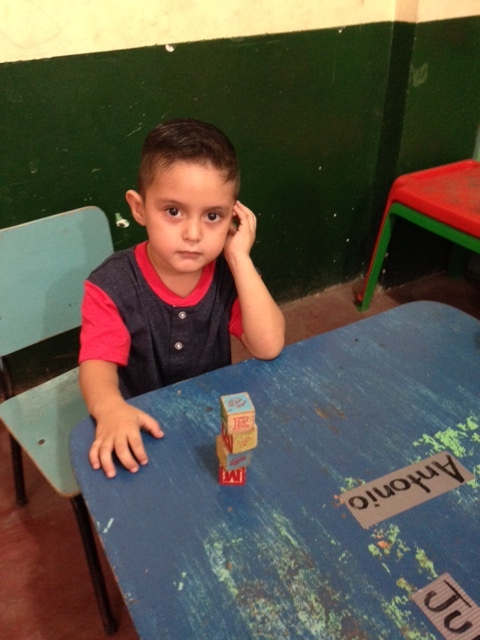 So here I am, living in Honduras and teaching a class of 28 absolutely wonderful, lovable, crazy first graders. to explain just how uplifting so many hugs and high-fives from little, smiling faces can be after a trying day. Needless to say, although tired and hot, I was not discouraged. With the help and advice from the previous grade one teacher, the following days got better and better. By the end of the week I had established a routine, learned the names of all my students, and figured out which terms they knew and which ones they did not. I have now been teaching for five weeks and still each day, with the occasional exception, seems to run smoother than the last. I must admit I feel quite the sense of accomplishment when I say “hands on your head” and a choir of little voices shouts back “bums in your chairs” and then waits intently for me to speak, except of course for the few boys who are still giggling about the word bum. When I arrived in Cofradia I did not think that I would have much of a social life, however, it has been quite the opposite. My housemates are great and we spend plenty of time together just chatting or eating pupusas or making trips to the supermarket or watching football and sometimes all of the above. 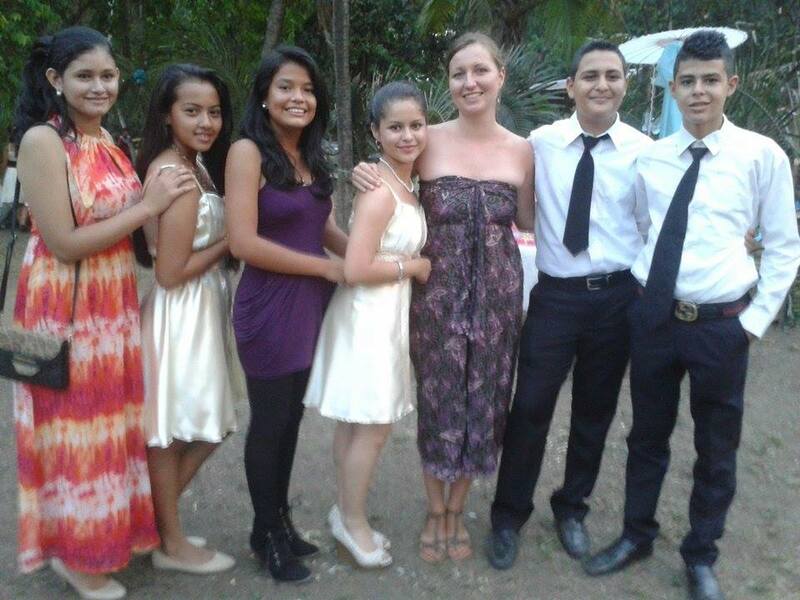 I have made some Honduran friends as well. I feel very lucky to have friends who are from here because I have gotten to do a lot of things I do not imagine I otherwise would have. These have included spectating some strange horse game that I am still unsure exists anywhere else in the world, relaxing at a swimming pool I did not know existed, riding in the back of a pick up truck through the mountains, trying fruits I have never heard of before, and eating snails (which I was unaware I was doing until after). I have also joined a crossfit gym and although I skip more often than I am proud to admit due to the heat or having other plans, it’s always great when I actually do go. I know that at the end of my three months in Honduras I will not be ready to leave my new home. Everyday I continue to be motivated and inspired by so many of the students at CBS and their eagerness to learn and willingness to work hard. Everyday I become more certain that this is exactly where I am meant to be and that my work here will not be done when my time in Honduras is. Everyday I become more confident in my decision to come back for another year. I always had a small selection of responses to choose from: I want to help teach the children, I love to experience new cultures, it’s an adventure or I wanted to get away. I realized that none of these explained my reason fully. After being here for ten months I think I am finally able to answer this question in its entirety. 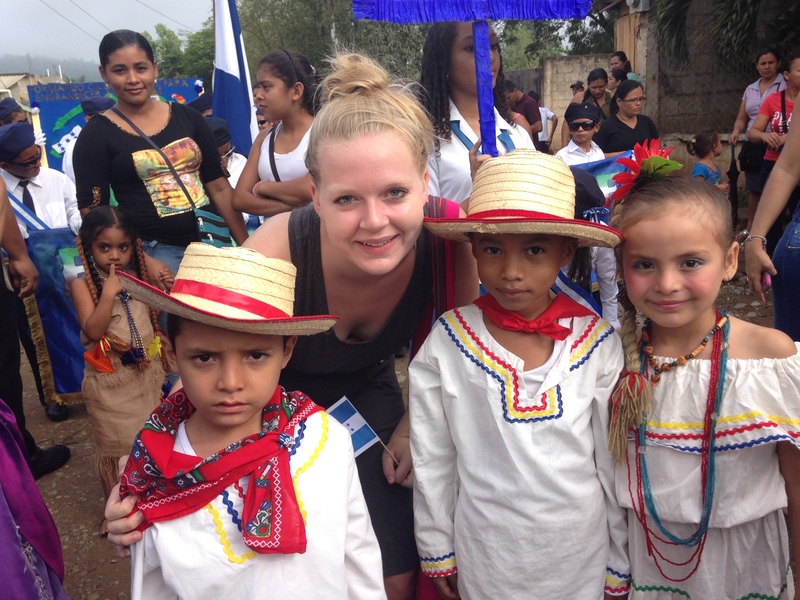 I came to Honduras to learn how I want to live the rest of my life. 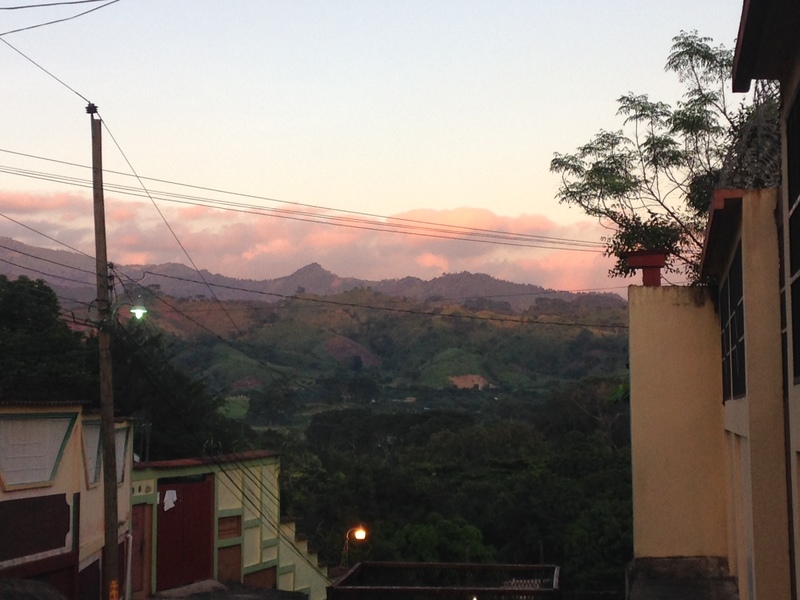 Friends and family might call Honduras “my home away from home.” Honduras is not that; it is my home. Last Christmas was my first trip back to the US. It was an interesting experience going back to what used to be my norm but now seemed so foreign. I would wander through the aisles of the grocery store overwhelmed by the choices. I went to stores with the intention to buy things but would end up leaving empty handed because I couldn’t stomach spending the money. I would flip through a hundred channels looking for something to watch that was worth my time only to end up turning the T.V off again. I would be pleasantly surprised every time I went to turn on the water and it never failed to come on. I sat back and listened to conversations and laughed to myself at how ridiculous they were. I am now only weeks away from going back to the Untied States for the second time and I can’t decide whether to be excited or anxious. Honduras has been hands down the best thing to ever happen to me. 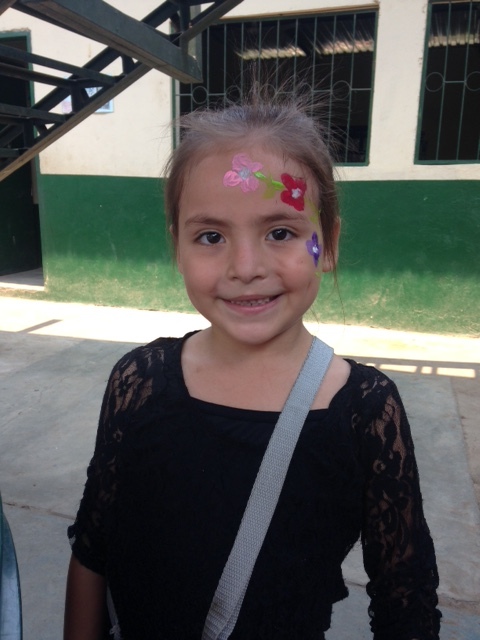 So…how will I liv e my life after Honduras? I will find pleasure in the simple things. I will always take my first sip of coffee in silence and appreciate its beauty. I will wear a shirt even if it doesn’t match, BECAUSE I WANT TO. I will put down my camera and look at things for myself and not my Facebook friends. I will eat lots of avocados because they are MY favorite. I will go to sleep as early or late as I want. I will keep searching for the constellations in the stars no matter where in the world I am. I will try all the weird foods offered to me. I will always smile and say hello to strangers. I will continue to practice my Spanish, no matter how terrible it might be. I will stay open hearted and love unconditionally. I’m not sure when I will be ready to leave Honduras, but it’s not anytime soon. Having done all of the theory that comes behind teaching English to people that do not speak it naturally, I had all of the ideas but none of the experience to back it up. Taking a class for the first time is an odd mix of both fear and excitement, as you never know what is going to happen. Finding the method of teaching that is best for me is a road that I have begun to walk down. I also appreciate it will take some time before I reach my full potential as a teacher. I have found my class to flip back and forth between listening and struggling to focus. I have the usual mix of class clowns who like to play up to the class for attention and the attentive students who quietly get on with their work. e was that is lying is bad and that if you lie people will not help you. This blew me away, especially coming this student. Being someone of very limited Spanish, only a collection of unconnected words, I have found Cofradia to be a friendly place to move around in. I am just about able to exchange a greeting with the local teachers but I still become somewhat lost if a conversation is extended beyond my current comprehension. Being someone that finds it hard to express myself, I can say that I am enjoying the experience and the challenges that working here is bringing. It is testing my ability to adapt to new limits making and it a ride that I will remember and most likely cherish for some time to come. Monday morning comes around and even though it’s only been two days since they’ve seen me, my preschool students stampede at me so hard they almost knock hot coffee all over their own heads from the full cup that I’m trying to hold aloft. I love weekends and hate waking up on Monday mornings, but there is no better greeting at 7:15am on Monday than 30 little people running to hug you like they haven’t seen you in years. Year 2 at CBS has been completely different from my first year here. Last year I was teaching 3rd grade and trying to get my bearings, navigating social situations and new challenges with my nervous Spanish. This year all of that seems like old hat- I spend more time talking in Spanish than in English at work, and spend most of my time with families from school or my Honduran friends. I also have taken on the slightly overwhelming position of volunteer coordinator and assistant director of the school. This basically just means that I have about 20 things to do every day and 15 different people that need things from me. I get about 60% of it done before giving up around 9pm and watching Netflix in my bed before passing out. Although my to-do lists make me cringe and managing people is exhausting, it’s nice being a resource for so many people and being able to help solve some of their problems. However, the best part of my day every single day is teaching the little kids. I cannot even explain how goofy these kids are. I have one little boy who power slides down the middle of the classroom any chance he gets, getting dirt all over his pants, and then will look up at me with this slightly crazed smile on his face. There’s the girl who cannot finish her morning snack because she won’t stop dancing and spinning around in circles, or the one who literally falls out of her chair 7 times a day and still looks just as shocked every time as if she can’t understand why this keeps happening to her. One of my prepa students recently took it upon himself to sit me down and explain the differences between men and women to me. (“Miss, women its always talk talk talk. Men, its all face. We don’t talk. We just make faces.” He then demonstrated several of these faces.) I spend my mornings cracking up, and receiving grubby little hugs that leave me covered in glue, paint and sweat. (Even though sometimes these hugs are less like hugs and more like an excuse to wipe their sweat off on my dress. Some of the more brazen ones have stopped feigning the hug portion of the interaction and instead just come up and press their face into my stomach and walk away, leaving a wet face imprint on my dress- it’s a good look, trust me.) I teach 60 awesome, weird 4 and 5 year olds, and it’s hard to be in a bad mood around them for more than a minute without one of them making me laugh or smile. I have no idea why he’s making this face in this picture but it cracks me up every time. 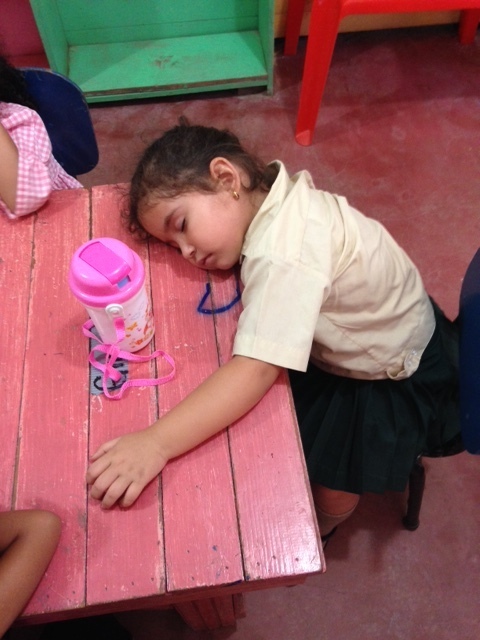 Sometimes playing with clay and finger painting can really wear you out. Every week at our volunteer meeting, we go around and everyone says a highlight of the week. Sometimes it’s a funny story about student or an academic success. Sometimes it’s whatever small thing got you through one of those weeks that all teachers have where you want to rip your hair out and run away screaming. This past week one of our newest volunteers just said, “I’m happy here” as his highlight. And I couldn’t agree more. It’s unbelievable but the time has come and the school year is coming to an end and it makes me think a lot about everything I had learned, seen and done. It’s been an incredible experience. I’m proud that I had the opportunity to teach my kids. I became very fond of them. It hasn’t always been easy, but it was worth it. All I can say is that I would recommend everyone who has the time to come for a year and give a little bit of yourself. You will get something back…actually… a lot. 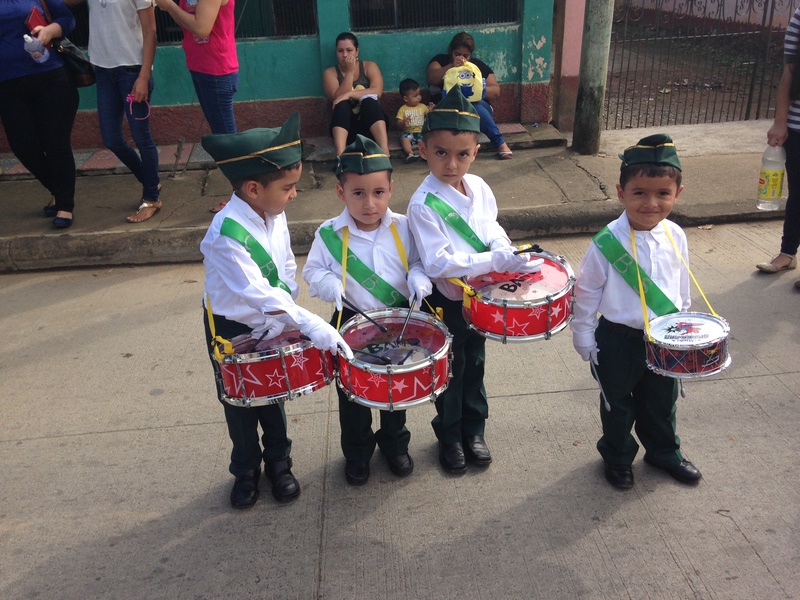 Teaching aside, because of being here in Honduras for nearly a year, I’ve had an opportunity to learn about this unique culture. Whilst there are things I don’t understand or don’t accept, I’ve seen how happy many people are without having much. And I’m not only talking about money. I’ve seen so many broken families, parents who have left their kids to move to a different country for work or just found new partners…or maybe without any good reason. Despite this, people seem to be happy and capable of taking this life the way it is…. Maybe it’s just my perception, but sometimes I think that Hondurans know how to really live (unlike us hurried Europeans who spend so much time working rather than with friends and family or planning our lives than actually living them). 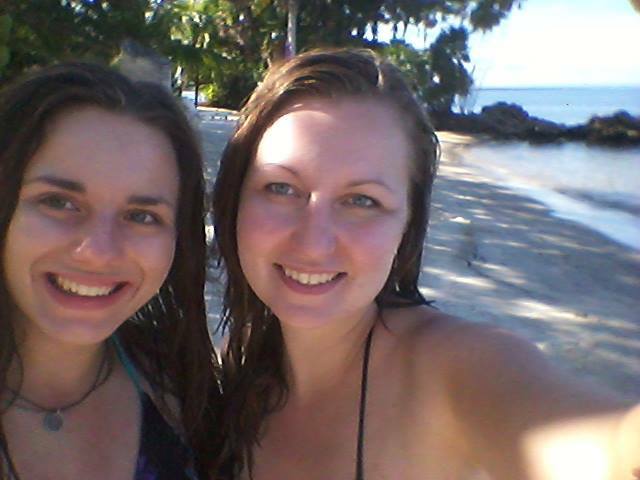 I’ve also met so many unbelievably hospitable and nice people. I’ve stayed in so many houses of people I barely knew. They have cooked for me, showed me around, and offered their homes. Once my friend asked me if I wanted to visit a small village in Santa Barbara for some kind of celebration and he met fantastic people there a week before. I agreed, and ended up having a great weekend staying in someone’s house. The mother was so nice – she would wait for us until we got back from the festivities and cook for us, and when we woke up, she was in the kitchen ready to serve breakfast and coffee… I would change any 5 star hotel experience for this. Another example is a recent one. 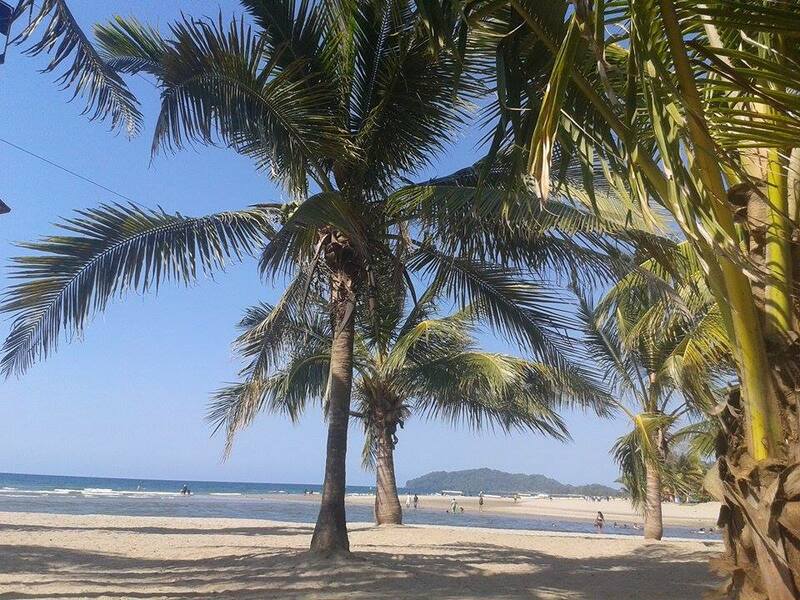 I wanted to visit La Ceiba (a beach town in the north) and mentioned it to my Honduran friend. Turns out her aunt has family there. We were there for three days, being fed, shown around… incredible. Every time I visited any Honduran family, I always felt like I’m at home. 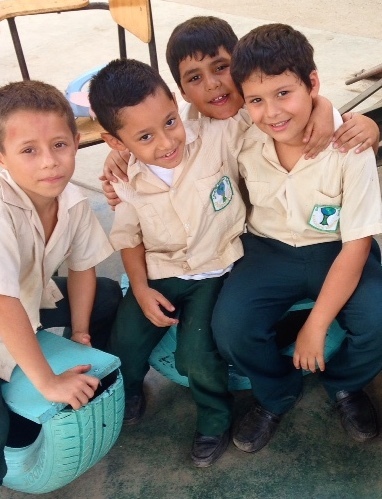 There is something about Hondurans…they are so easy and welcoming. It’s hard to describe. I’m truly happy I was here and I know that when leaving at the end of July, it will be heart breaking as I will miss all my friends I found here. I never thought I’d be here. I’ve always been a “by the book” kind of girl that has a plan and follows the well-beaten path. I worked hard in high school so I could go to a good college. I worked hard in college and did all the internships and extracurriculars so I could get a good job. And then I graduated and had no clue what I wanted to do with my life. I nannied for a year in NYC, while still trying to join back up on the path to “success.” I took the LSAT and applied to law schools. I got accepted and was all set to go until a month before I was supposed to leave. And I ended up here instead. I don’t regret my decision to come. If I hadn’t, I would be living in LA right now and finishing up my first year of law school. I would be two years away from a job and salary. Instead, I’m making no money, digging into my savings, and spend most of my time with small Honduran children and a slightly crazy group of international volunteers. It could not be a different lifestyle from the one I prepared for or imagined for myself. But I’m happy here. Constantly sweaty and covered in dust, but happy. What makes me happiest is teaching my kids. 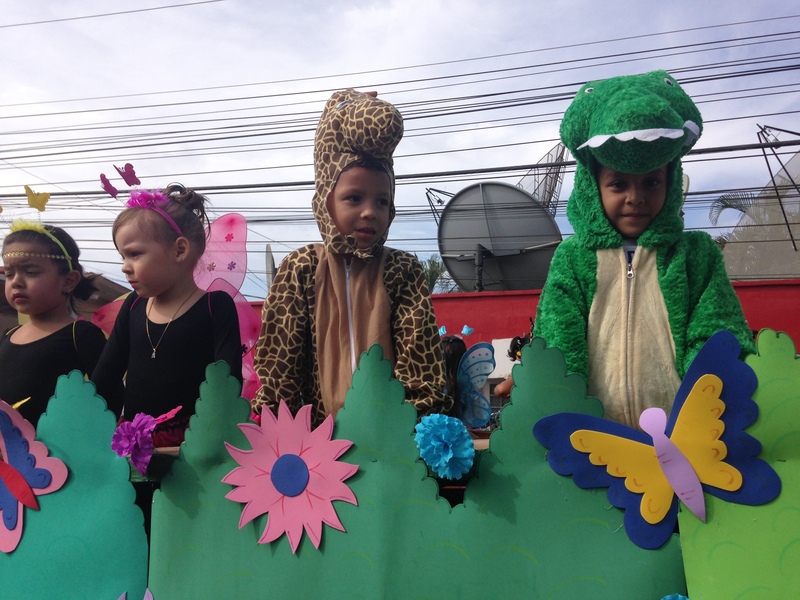 I love my kids. Like. I LOVE my kids. 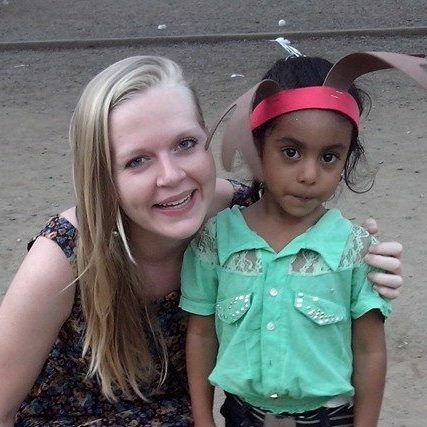 Here in Honduras, my best friends are 8 and 9 year old children. I’m not ashamed to admit it. They’re cool little people. I voluntarily spend time with them on weekends. I get invited to students’ houses for birthday parties, family dinners, and sleepovers. We have inside jokes and great conversations. I genuinely enjoy all of their company. Besides my students, there is also a certain freedom to living here that’s hard to explain. Men walk down the street with no shirts on, carrying machetes. Kids run around naked and play soccer in the street. I don’t worry about things I used to at home, like makeup or what I’m wearing. There’s dust everywhere so everyone’s always dirty anyways. Riding in the back of pickup trucks is a main form of transportation here, and there is something hilarious and freeing about being squashed into a back of a pickup truck with six other people and some chickens, bouncing around on dirt roads. 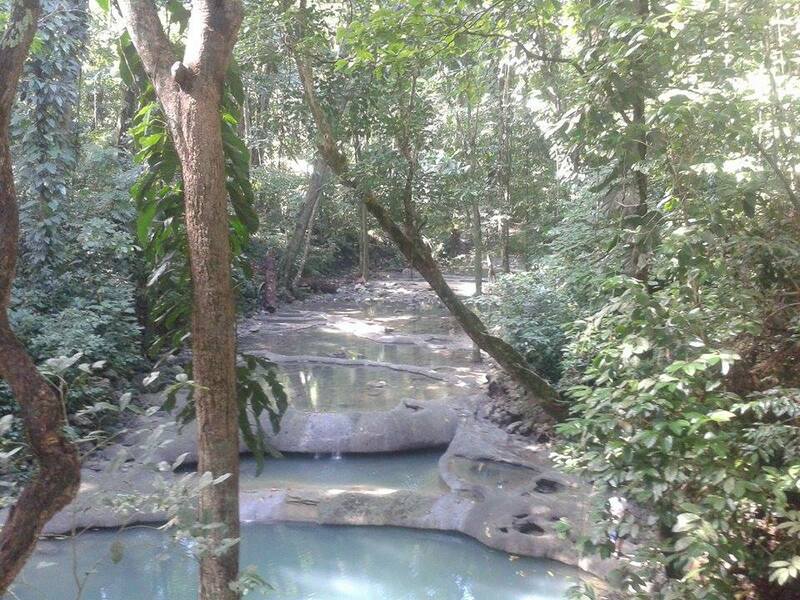 On really, really hot days, there’s nothing to do but lay around in a river all day. People just don’t think about life here the same way they do in NYC. It’s not about work or rushing from one place to another. People just like to sit outside and talk to people walking by or who stop by for a minute to chat, drinking coffee and hanging out. I didn’t expect to want to stay a second year, but for me, one year hasn’t been enough time. I’m not ready to leave my kids or the school. Next year, I’m staying in Honduras and will be the volunteer coordinator. I will be responsible for all of the volunteers, and to be perfectly honest, I’m terrified. It’s a lot of responsibility, and will require me to constantly use Spanish professionally, which often leaves me cringing internally as I hear myself butchering tenses. Law school will have to wait another year, but I can’t imagine ever regretting my decision to stay. I am not a blogger! It’s really hard for me to write about things other people might find useful or amusing. 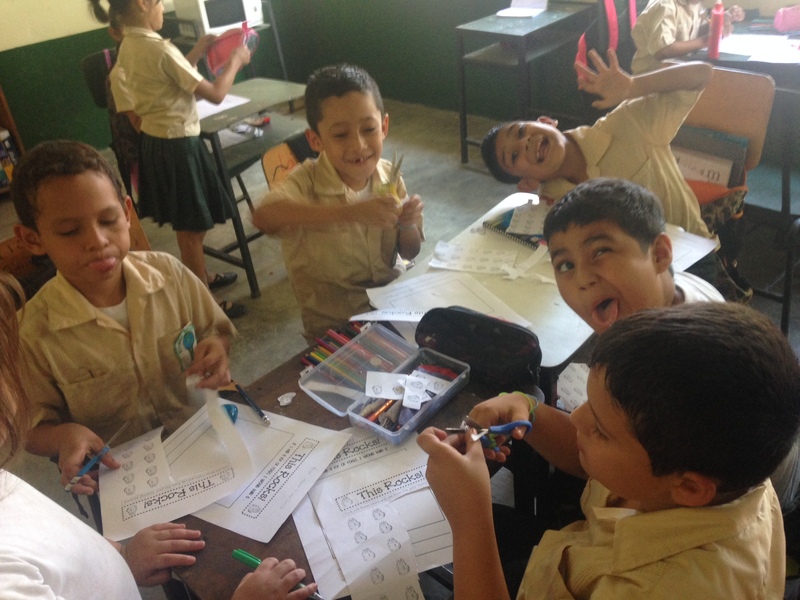 Other volunteers have written a lot about Honduras and the school, so I guess our readers have a good picture what it’s like down here. That is why I decided not to write about Honduras. I’ll write about Guatemala instead. 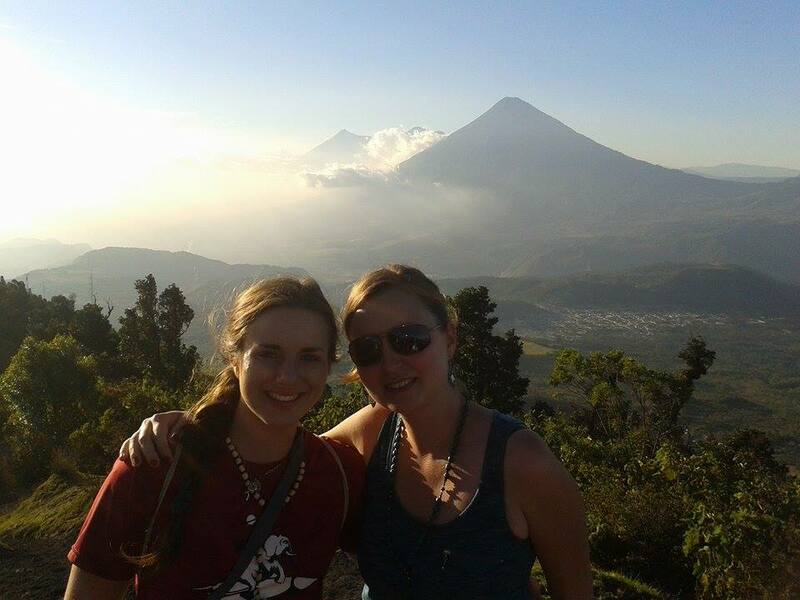 This Christmas I decided to go to Guatemala with my fellow volunteer, Saskia. 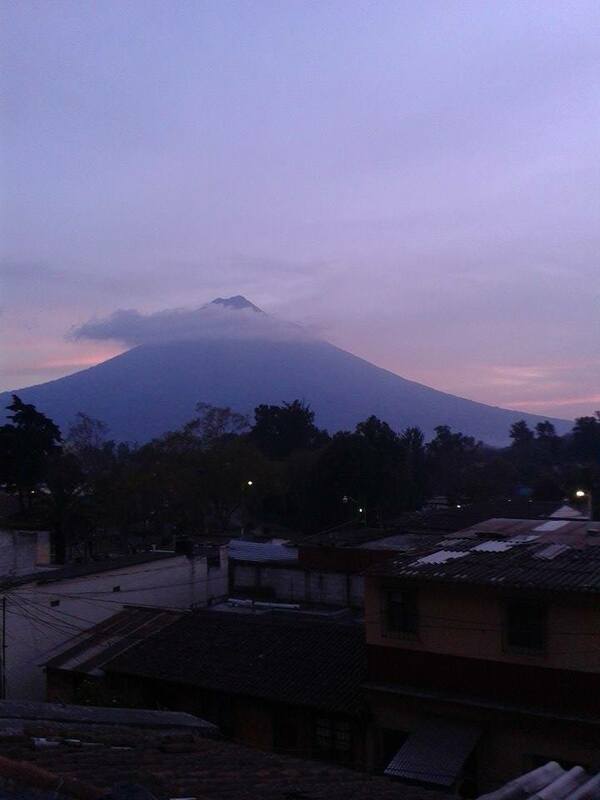 Guatemala is really beautiful. I don’t even know where to begin. We started in a small town called Livingston. It’s a quiet town with nice restaurants and cafés. What I enjoyed the most was our trip to Seven altars and Playa blanca. 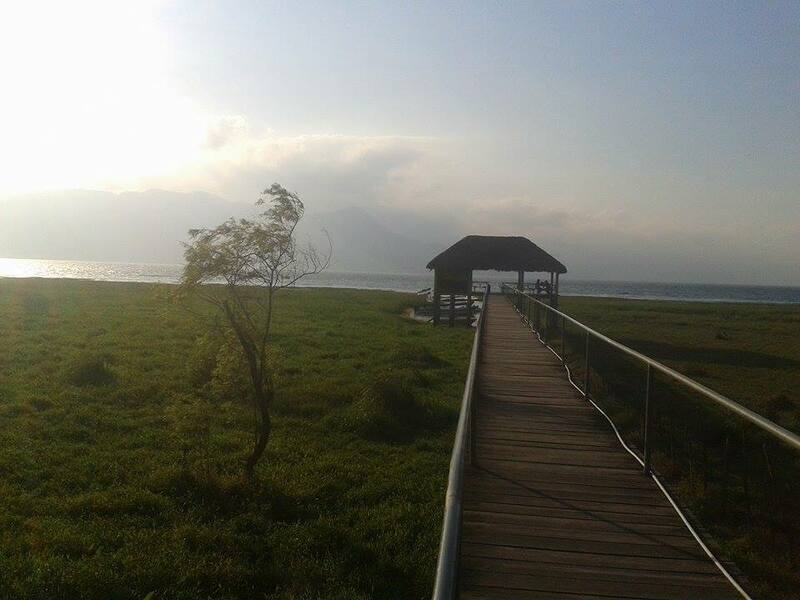 If you like the nature, Guatemala is the place to be. Another place worth mentioning is Antigua. With plenty of cafes and restaurants Antigua offers a great nightlife as well as ‘chillout’ time during the day. 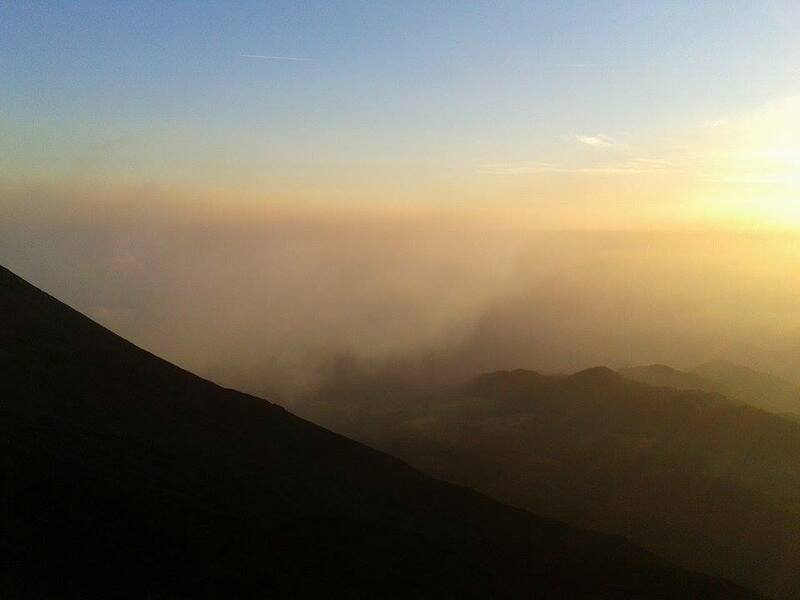 When visiting Antigua, you can’t miss visiting the volcanoes. I don’t have to say a lot about it, just look at the below picture – I was standing on the top of Paquaya enjoying this breathtaking view. 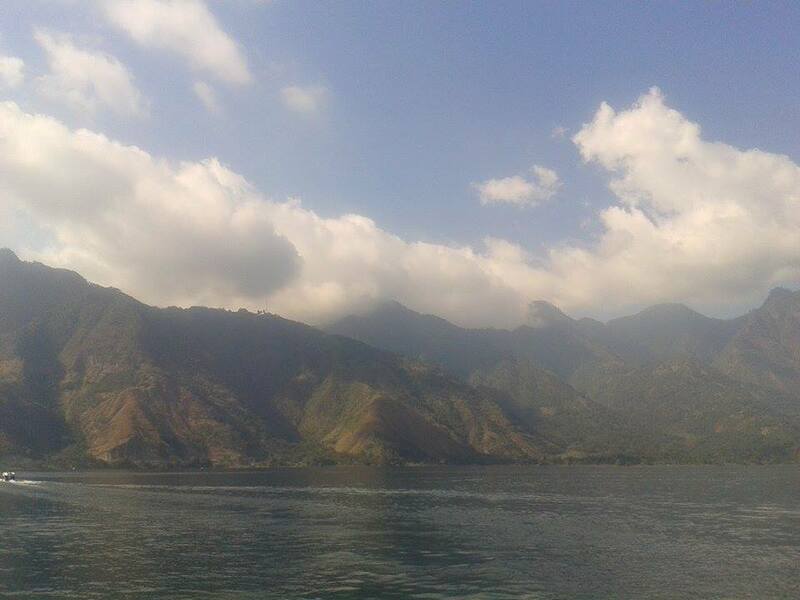 After few days in Antigua, I ended up (by accident) at the lake Atitlan. Again – no need for words, just enjoy the pictures. All I’m trying to say I guess is that it is worth coming to Honduras for many reasons and one of them is traveling in your spare time. Honduras is a weird place. I don’t mean that in a bad way, but as an American, I have seen some things here that have completely surprised me. I watched an adult woman use an escalator for the first time with help from a mall security guard. I have been in a small van with about 24 people, some of whom were hanging on outside the car as we were driving down a highway. I wake up to roosters crowing every morning and fall asleep to reggaeton and fireworks that the neighbors set off at night for no apparent reason. The water shuts off when it rains, meaning it can be off for days. (I’m writing this on Friday and haven’t showered since Monday. My hair does not smell good.) If someone had told me five months ago that I would be living here, I wouldn’t have believed them. This is my street. What you can’t see is the dirt road and how it immediately drops off into a dangerous hill that cars can’t drive down. It says cheddar. It does not taste like cheddar. I somehow still managed to eat most of it. 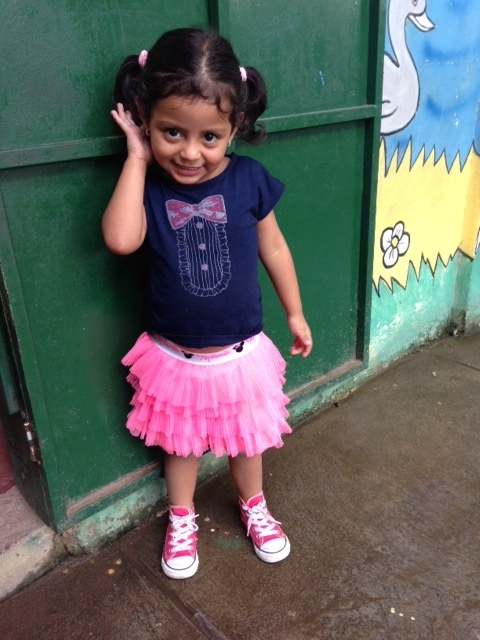 Living in Honduras hasn’t been a cakewalk. There are things I miss about home. 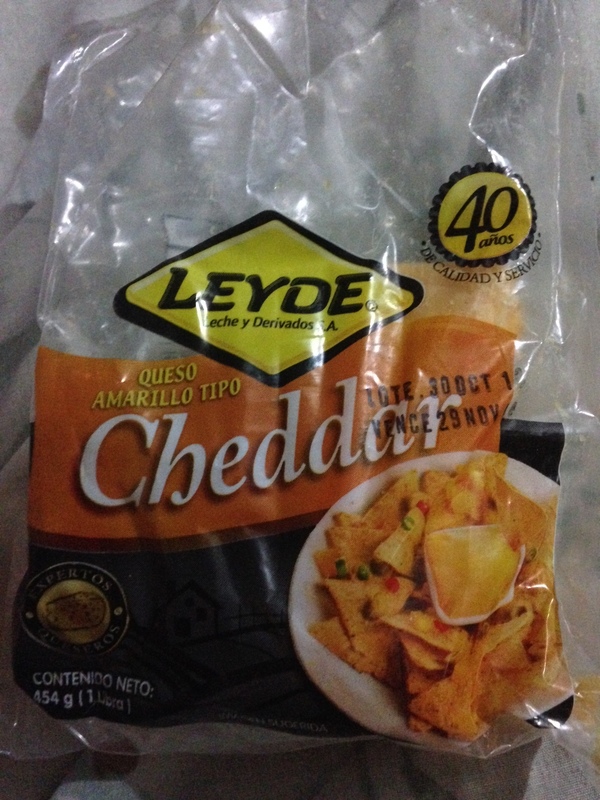 I have yet to eat quality cheese in Honduras. I have eaten super salty, powdered “cheese” and “cheddar” that tastes of chemicals, but nothing that satiates my deep desire for cheesy things. As someone whose diet usually consists mainly of cheese and carbs, this has been a serious problem for me. I miss hot showers too. When it’s cold outside (it can drop down to a frigid 70 degrees! ), the last thing I want to do is get under freezing cold water. I usually just don’t, which contributes to the issue of my hair being gross. I miss being able to hop on a bus and visit my family or just pick up the phone and call my mom. I’m incredibly sad not to be eating Thanksgiving dinner at home. Sometimes I wish I could meet up with friends for dinner and drinks and have a night out on the town (this is a polite way of saying, “go out barhopping”). Even though my social life is vastly different here, my hair is constantly dirty, I’m hundreds of miles from my family, and I live a depressingly cheese-less existence, I can’t imagine leaving Honduras before my year here is up. I don’t know how to describe it without being cliché. I spend my days working with these goofy, little kids who crack me up while driving me crazy. I deal with kids constantly coming up to me and saying, “Miss! The Emily. She pushing! SHE PUSHING!” and instead of being annoyed that I have to go handle the issue, I’m proud because at least they whined to me in English. My students come to my desk during free reading time and point out every word in a book that I’ve taught them. These goofballs make me laugh every day. I don’t take responsibilities lightly. My first year in college, when I was still an acting major (later playwriting), I woke at 6 a.m. to do vocal exercises before conservatory. When I wrote seriously, I woke at 4:30 a.m. to write before work. When I worked as a dramaturge on a theatre production, I went to rehearsal after a full day of day-jobbing (paralegal), got home around 10 or 11 p.m., and spent the next hour or so writing, reviewing, and editing my notes for the director or doing requested research. When my passions are called upon, I can be a little…intense. Or nuts, you can say it. So when I learned I would be teaching 7-9th grade science, without textbooks or equipment and only the vague but ambitious national curriculum to guide me, I felt a wee panic, a faint nausea, which has never really left. After all, science is serious and seriously fun…but I hadn’t studied it in any serious way since high school sixteen years ago. How was I going to guide these kids through the wonders of the universe’s first moments, animal nutrition, and “various atmospheric phenomena,” and “conceptualize the experimental research process and develop simple experimental designs, systematizing the basic process of the experimental method”? I did what I could to prepare. I located some very affordable textbooks for myself, thanks to /r/scienceteachers, which also helped translate the curriculum for my layperson’s mind and pointed me in the direction of helpful websites. Still, between nerves and the vastness of my subject and curriculum, I didn’t have my first lesson planned until two days before the first class. 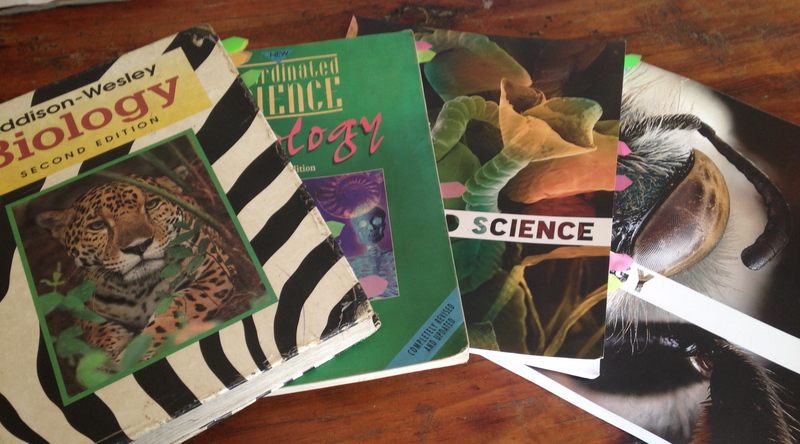 Some of my affordable science textbooks. And it’s been that way ever since. I have no doubt that my fellow volunteers, perhaps with affection, think I’m a little crazy, because when our busito gets home I almost immediately am at my desk, researching and planning for tomorrow, and that doesn’t stop until 7, 8, or even 9 p.m. And that’s just for tomorrow, because try as I might, I so rarely get ahead. My books have some but not all of the topics in the curriculum. Even if they do, to break something into digestible bits, I have to understand the topic thoroughly, so I must hasten to Google for details. Then I try to find cheap, minimal material projects, if I can, because science doesn’t come from my notes on the board. Science is experienced. Science is relevant. As you can imagine, my intensity, my desire to give these kids as wow a science class as possible, leads to some exhaustion. 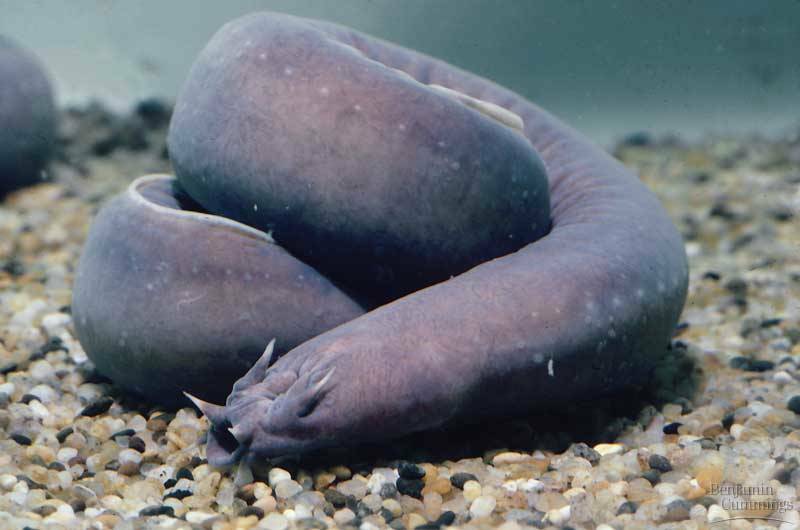 I have become an expert on the hagfish, also known as the slime eel. Sometimes I succeed; sometimes I fail. Last week the 7th graders made edible animal and plant cell models out of gelatin and candy. The 8th and 9th graders blew up balloons with fermenting yeast. I did a lesson on carnivorous plants using a song from Little Shop of Horrors. I lead all three classes in the construction of seismographs using rubber bands, shoe boxes, string, and markers—an endeavor of ultimately dubious value but, for me, a useful personal study in how maturity affects the ability to handle frustration. I try to laugh at my mistakes, because I make a lot. The kids surprise and stump me all the time. My key to survival is to never take the long view. Come June, I’ll be here, but if I think about the months, weeks, days, minutes it will take to get there, let me just say there’s a small padded room with my name on it. But today? Tomorrow? Yeah, I can look at that through the window.